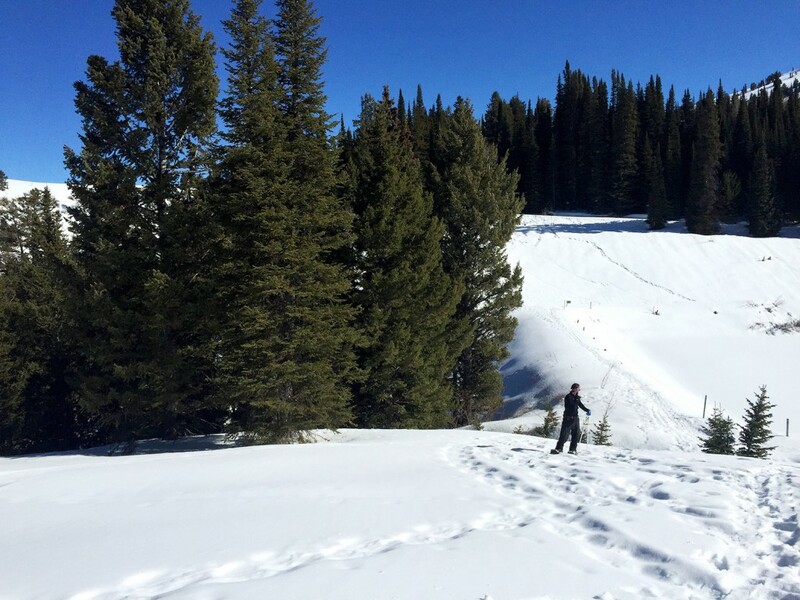 Grand Targhee is an amazing alternative to other Wyoming ski areas. The snow and the prices are unbeatable. 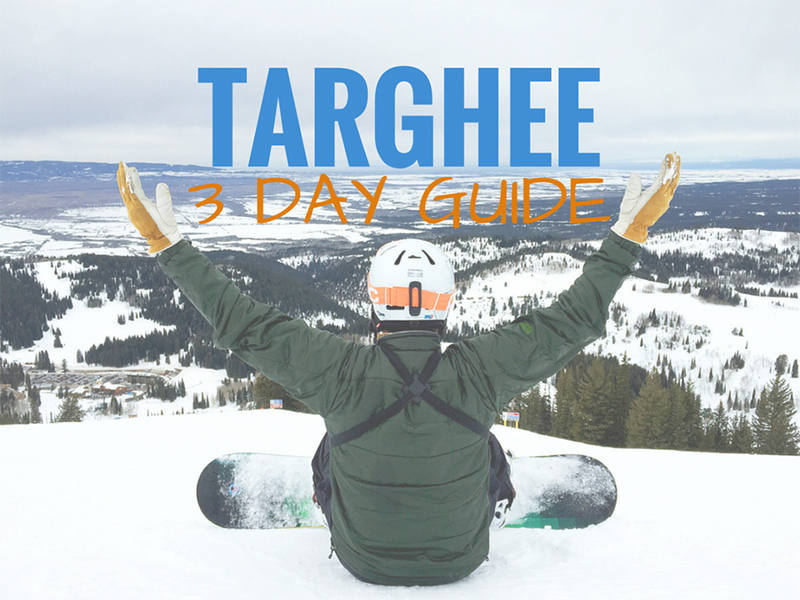 Besides that, I’m here to share my tips on what to do in Targhee so you get a taste of why you need to visit! Get ready for winter sports, shopping, foodie options and a dip in the hot tub. One major plus: their mountain stays open longer, so get your snowboard ready. 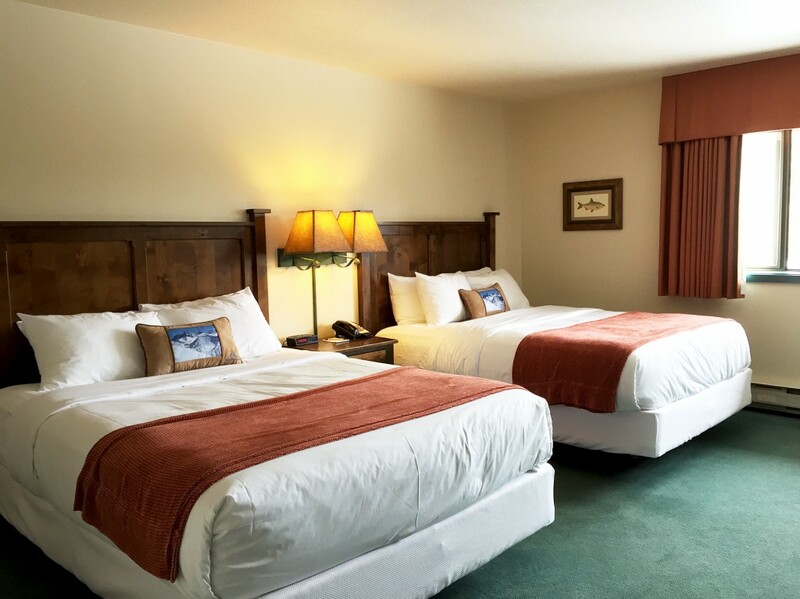 Grand Targhee Resort is located in Alta, Wyoming just 43 miles from Jackson Hole. The fun part is that you have to drive through Idaho to get there. It’s small in size, but once you arrive you can feel that the mountain takes priority. The base sits at 8,000ft and is notorious for its snowfall and runs. Voted #4 in snowfall in the US, it’s a dream for any level of skier or snowboarder. Let’s be clear. I love to snowboard, but I have yet to reach an expert level and based on the talented athletes in Jackson Hole—where I’ve been since January—I’m on the lower end of abilities compared to the locals. That doesn’t stop me from chasing powder and working on my form and speed. You may remember all those snowboarding trips I took to Sestriere in the Italian Alps. I’ve been lucky enough to find myself surrounded by snow each winter, and this winter it’s in the Tetons! I hopped on an Alltrans bus at 7am in Jackson with my gear—see schedule—got cozy and took a nap until we arrived at the base of Grand Targhee Resort. The drive only takes 50 minutes, that’s once the bus picks everyone up. The round trip ticket runs about $100, which includes transportation PLUS an all day ski pass. 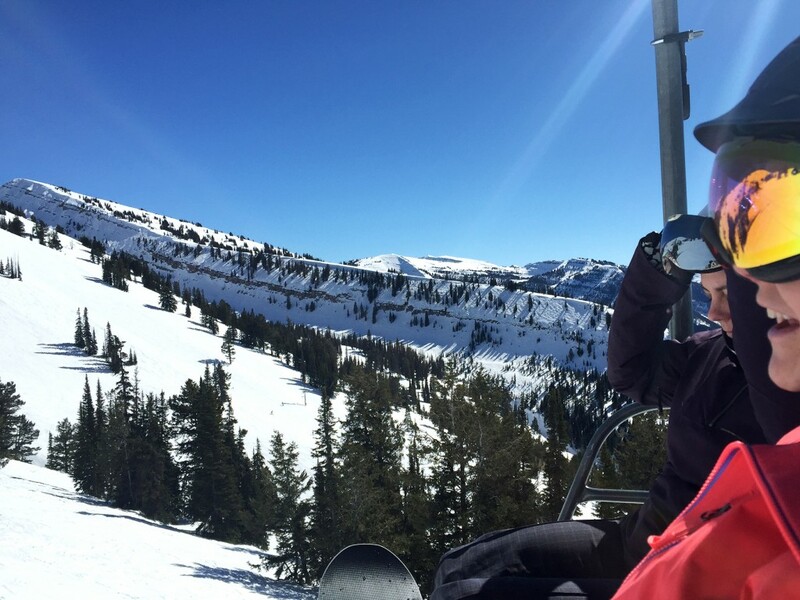 It’s an easy way to get to Targhee and the bonus is you can enjoy an après-ski on your way back. Cheers to not having to drive! 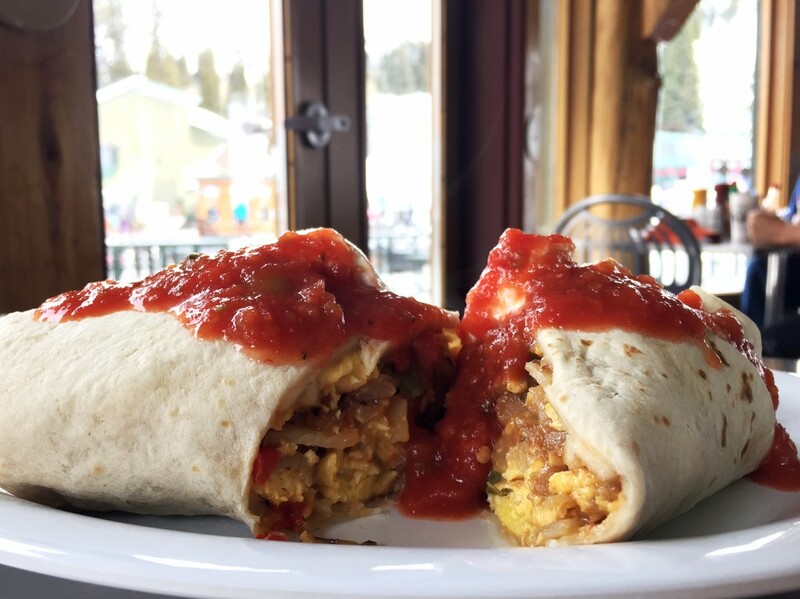 My private snowboarding class started at 1pm, so I took advantage of the resort-wide wifi—yes, it really works!—and got to crank out three hours of work at Snorkels where I ordered one of their famous breakfast burritos. There are three kinds of oozy-goodness burritos and I opted for the veggie one, so so good! And massive. Time for a lesson with Derek, the man. I’ve snowboarded since 2010 and have only had two lessons, so I was overdue for another one. It’s time to stop fishtailing my board and time to start loosening up those knees. There are classes every day at 10.00 and 1pm. My turns got tighter and my arms weren’t flinging all over the place. Thanks, Derek! *One amenity I love about the resort is their overnight storage where you can leave your board, so you don’t have to lug it back to your room. It’s the little things. 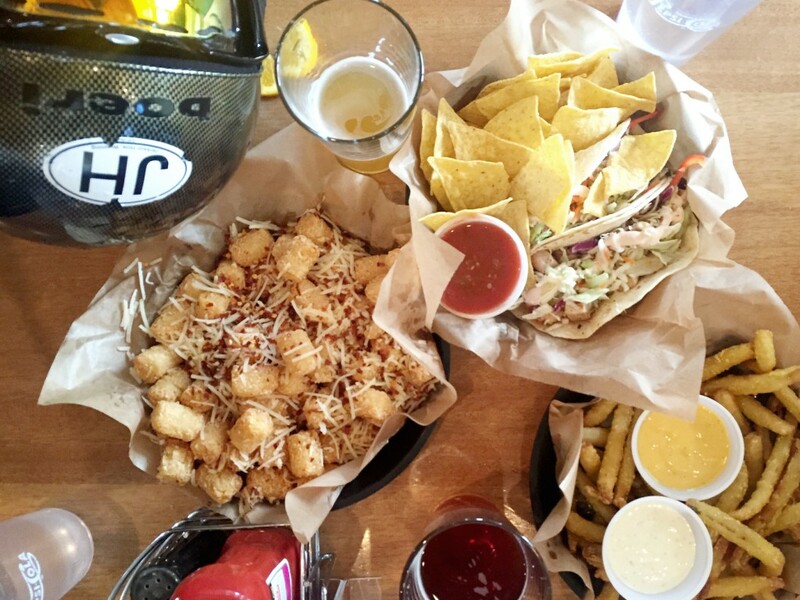 The Trap Bar is the place to meet up with the rest of the mountain once you’ve worked those legs. They have great beer on tap, like one of my favorites: Pako’s IPA by Snake River Brewery. The menu is filled with sinful things like massive nachos made with Idaho waffle fries instead of tortilla chips, kale cheese dip, elk sausage and those fried pickles you see to the right in the pic above. All totally justifiable after a morning of snowboarding, am I right? What day of snowboarding wouldn’t be complete without a dip in the hot tub? It’s a luxury I don’t get to partake in often, so when there’s a hot tub available to me you better believe I’ll be in there! When I got there, there were two groups enjoying the hot water. Everyone was friendly and were sharing their extreme snowboarding stories with me. The hot tub’s located closer to the ski lift, so pack slippers. There’s a pool and a changing room with a shower, which is were I got ready for dinner instead heading back to my room to change. 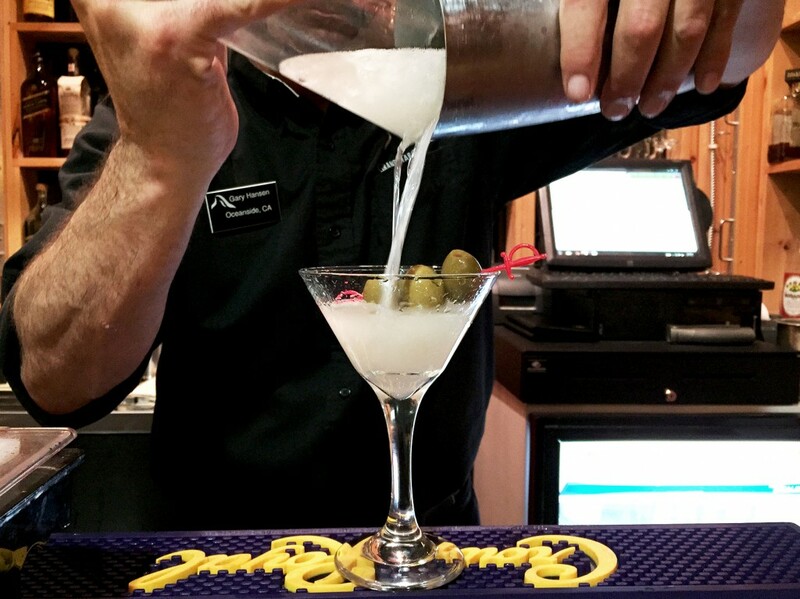 Dinner and a martini, please! 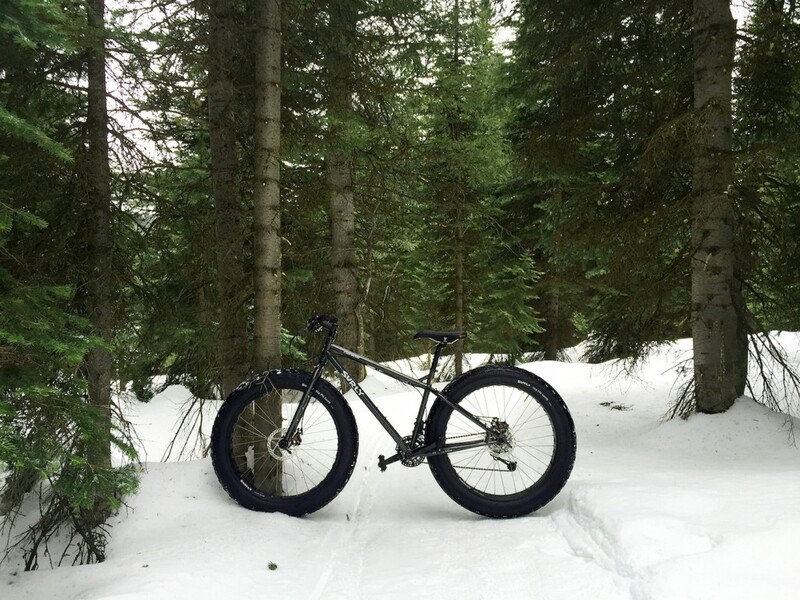 Ready to try something new…fat biking! Andy, who builds and manages the 9 miles of groomed Nordic track and two miles of single track in the winter, was my personal guide. He manages even more trails once the snow melts. 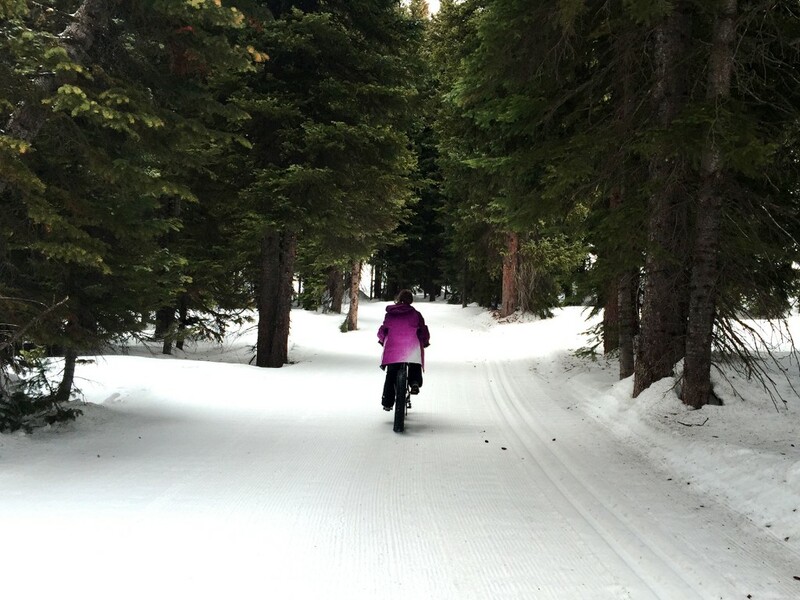 My first time riding a fat bike was a little scary, but after a few minutes I felt more at ease and Andy was happy to go at my most comfortable speed. I told him I wanted to try the single track. Not sure what I was thinking! It was challenging, but so worth it. The views were amazing and I smiled the whole way, minus a few zig zag moves to catch myself from falling in the deep snow. Lunch was delicious and it was nice to check out the Branding Iron again, but this time during the day and minus the martini. After an active morning riding a fat bike I was in the mood for something more low key, so Jennie and Kate recommended I take the free resort shuttle down to Driggs, Idaho to check out the shops and restaurants. I was down for some winter sales and dinner in Idaho! After a 20-30 minute shuttle down the mountain, I hopped off in downtown Driggs and was ready to explore this little area. The architecture is fun with that wild west flair. My first stop was The Wardrobe Co. on Main Street. It’s a huge store that sells just about everything and lucky for me they had an amazing sale. I bought some tops and a Columbia vest. I love vests! Then off to Dang Blessed—a small boutique with great clothes and scarves—where I bought a funky ring. The library was not on my list, but since downtown Driggs is so small I wanted to check out every open place. The library had books on sale for $1, so I bought 5! Love books from travels. I then headed to The Royal Wolf for a quick break before dinnertime. There was a mix of families with babies and groups of men at the bar. 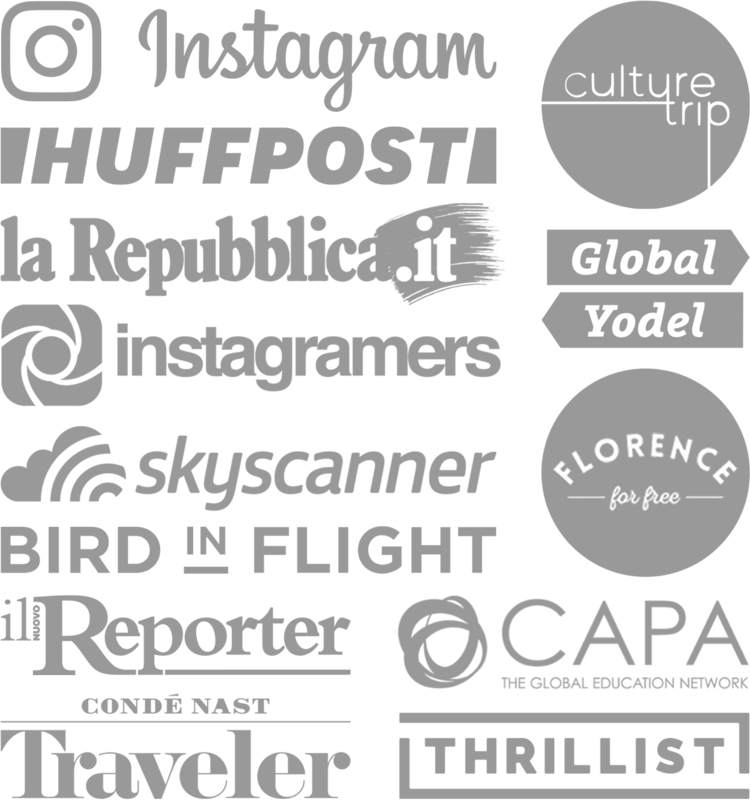 I’m not into walking into a bar alone, but when on vacation I could care less, so I popped on a stool and people watched…and thanks to their wifi I may have fiddled with Instagram. 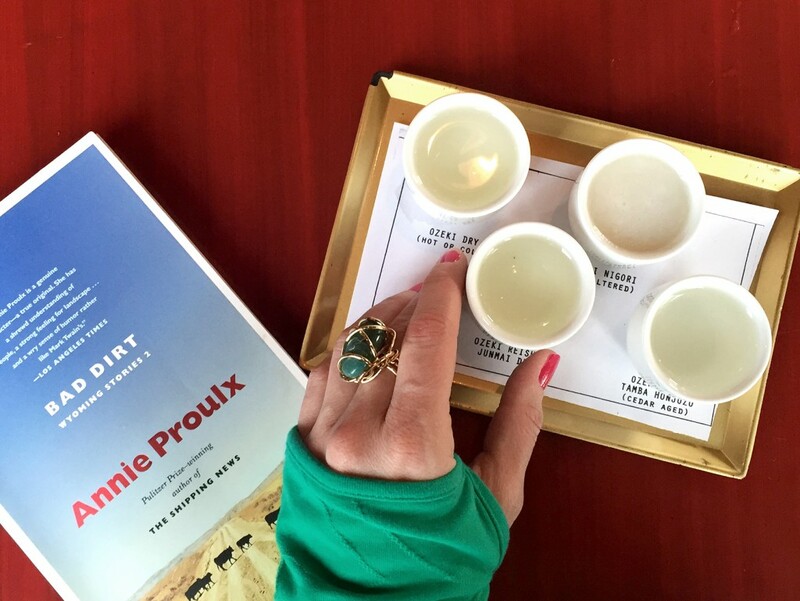 Wearing my new ring and reading my new book, loved the sake taster too! 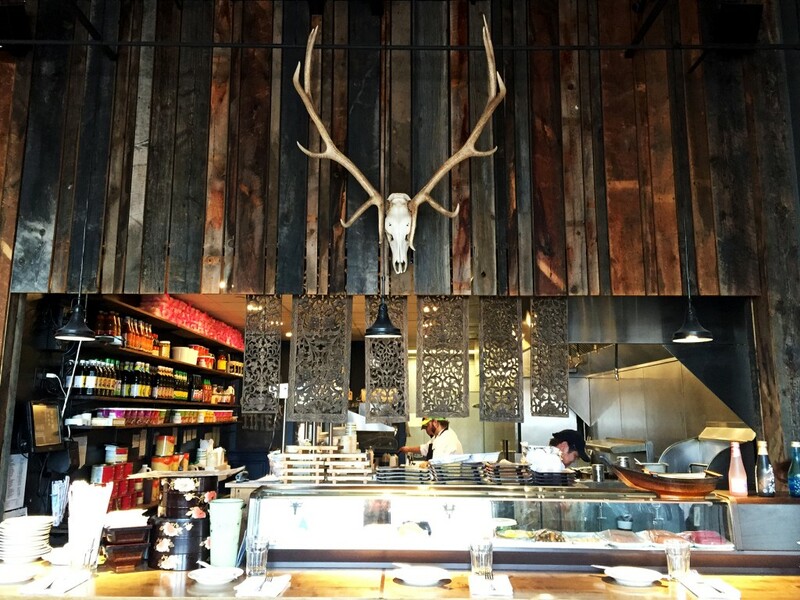 Teton Thai first opened in Jackson Hole, and now luckily there’s one in Driggs. They have amazing dumplings and really spicy dishes. Make sure you order your dish at a level 2 of hotness, I ordered a 3 and almost lost my tongue so ordered extra brown rice. They have a delicious sake tasting that I recommend. I love sake and always love trying out new ones. I took one of the later shuttles, around 7pm back up to Targhee. The drive was beautiful, with sunset views of the Tetons. Time for bed…I got some work done in my room and passed out from a long day of biking, eating and walking. Ready for day 3! 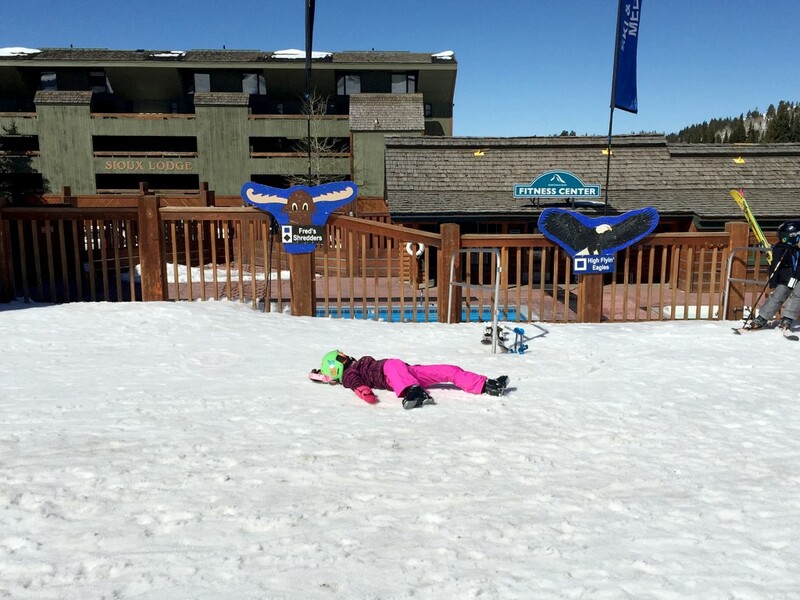 I was sad that it was my last day in Targhee. In just two days I fell in love with the vibe and friendly people. 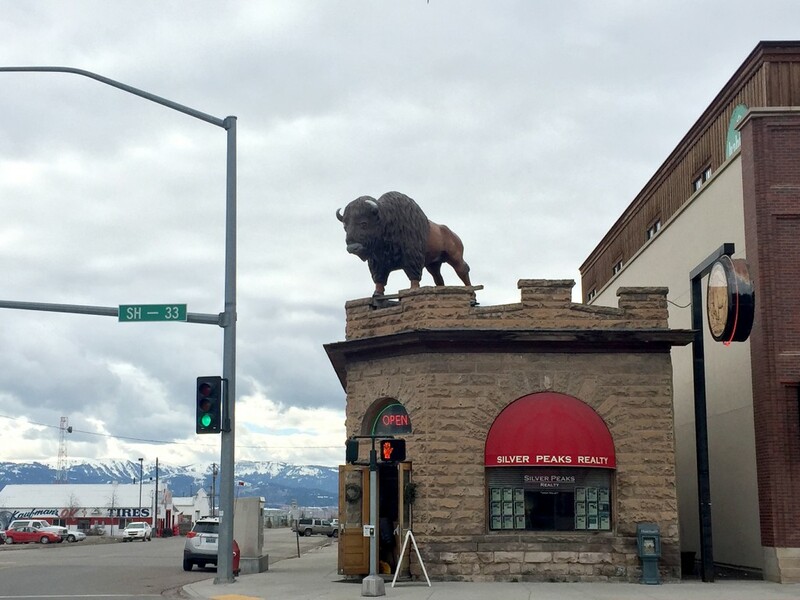 It’s a great place filled with so many activities and has a more laid back vibe than Jackson Hole, plus cheaper ski passes! For my last day I wanted to learn more about the area and see as much as possible. There’s a nature center just to the left of the ski lift. That’s where I met Colin, the resort’s naturalist and maybe some good ‘ol eye candy. 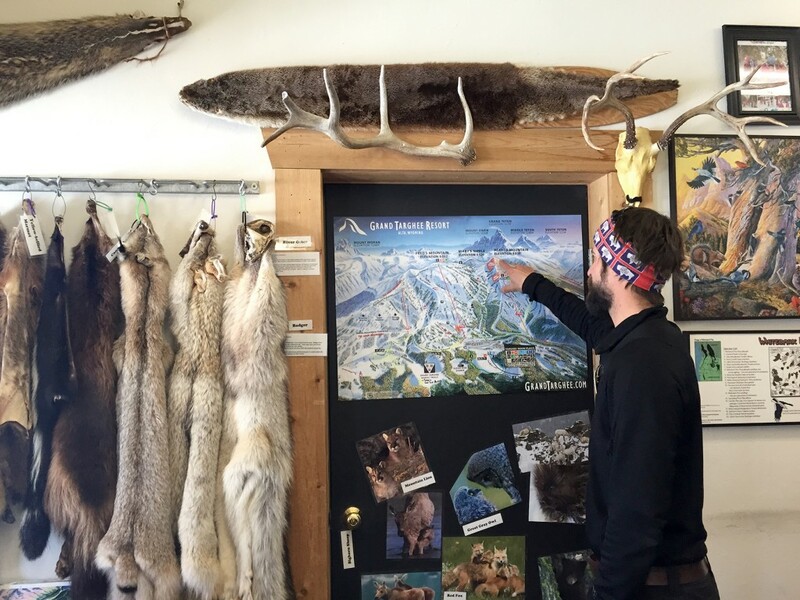 The resort offers these free tours 1-2 a day during winter season. It’s a great way to learn about the land, native Indians, birds, fossils, food sources, etc. Colin seemed to know everything about these parts and was passionate about how people lived hundreds of years ago, what it took to survive—he’s like an Encyclopedia. It was an educational tour while I got to burn some calories walking up and down trails, sometimes we made our own trails leading up to amazing views. On our way back to the nature center he spotted a Snowshoe Hare, that was literally as white as snow. If it wasn’t for Colin, I would have snowshoed right passed it! Thanks for the tour Colin, now I finally know the difference between Christmas trees. Here I thought all Evergreens were the same. Remember I’m from Miami, where we just have palm trees and an overpopulation of raccoons. 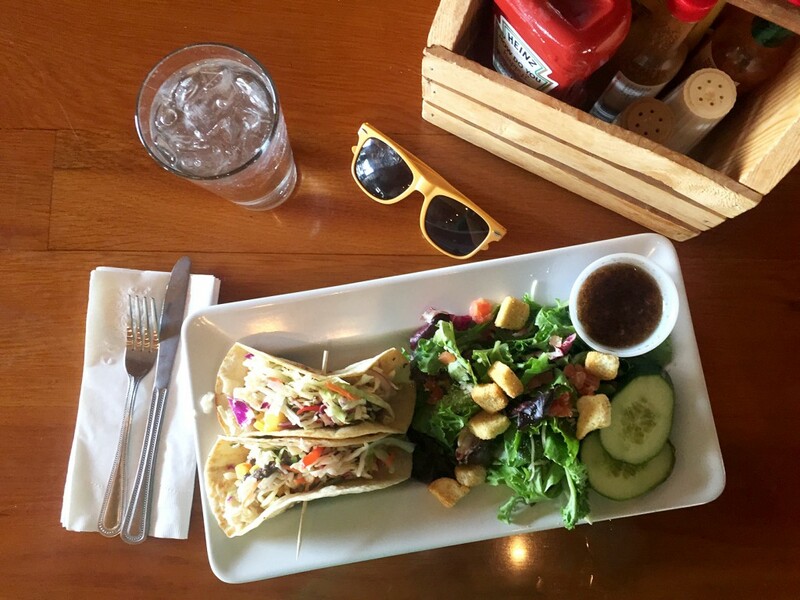 It was time to refuel before my last few runs on my snowboard, so I headed to the Trap Bar for some fish tacos. I will miss this bar for it’s large menu, views, and proximately to the lift. Smaller resorts sure do have their advantages. The Alltrans shuttle leaves Targhee everyday at 4pm, so I had a solid hour to hit the slopes before I headed back to Jackson. I stole Jennie and Kate away from their desks and we hit the slopes. It’s fun snowboarding with girls, as I’m normally behind a group of guys. Even though these two are much faster than me, I was still trying to concentrate on staying centered and focus on what I learned from my lesson with Derek. Trying to keep up with people is how I ended up fishtailing to begin with, so I was hoping to stop that bad habit. I had an unforgettable three days! 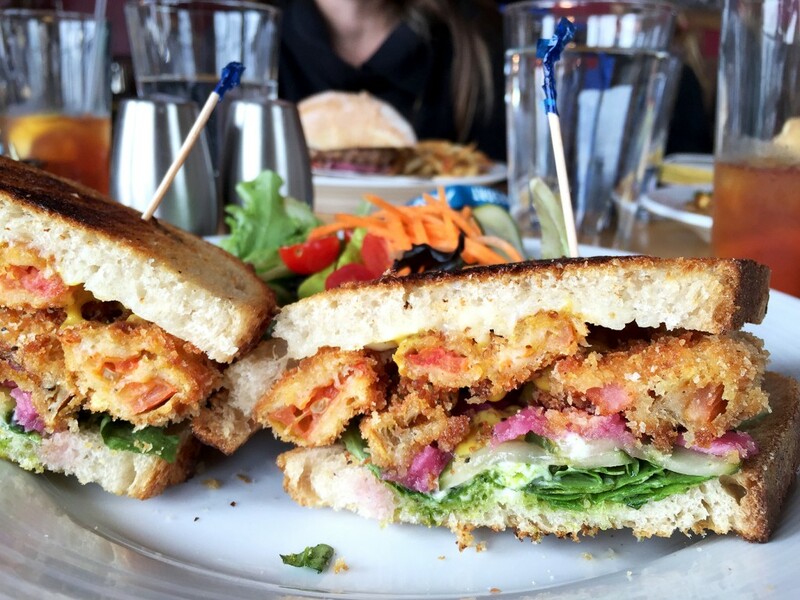 Now you know what to do in Targhee once you get here. The great news is that the mountain stays open two weeks after the Village in Jackson Hole, so wax those skis and get out here! You have until April 18th, which is when they host their 3rd Annual Pond Skim event! 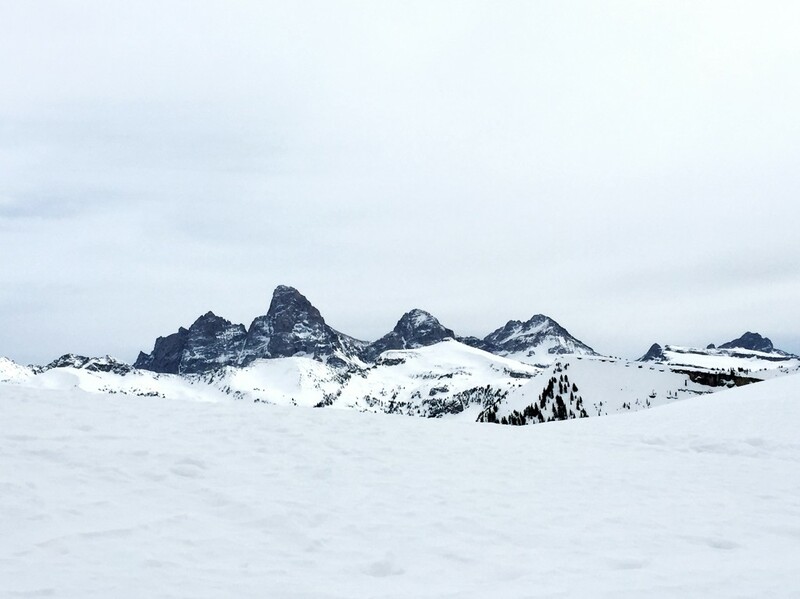 For more info about Grand Targhee Resort, follow them on Facebook, Twitter and Instagram. To check out more pics from my trip, check out #meettarghee on Instagram. Pin these pics and share this post!